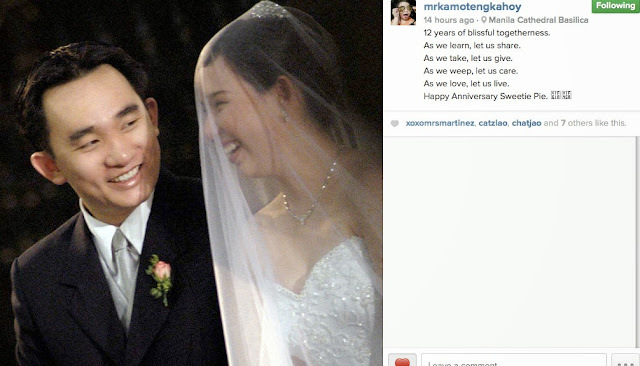 The photo below was posted on DH's private Instagram account. It was our 12th year anniversary yesterday. We didn't plan anything, at least, none that I know of. Little did I know that he has a plan to take my daughter and I out on a dinner date on a Monday night. 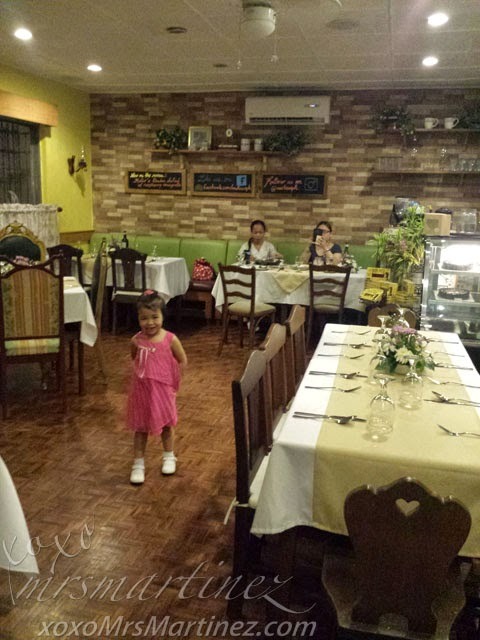 We went to this barely-a-month-old restaurant/cafe along N. Domingo Ave., in Quezon City called Mateo's Restaurant Cafe. 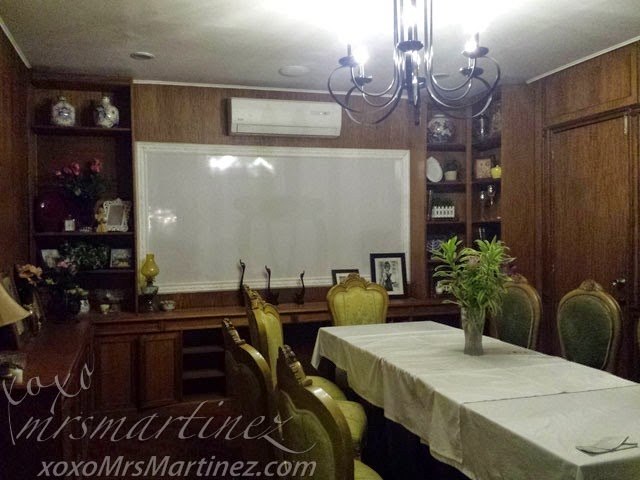 It is a Spanish-inspired Filipino Restaurant. The place looks like an old residence redesigned into a restaurant. I guess that explains the homey feel of the restaurant/cafe. The main hall has several table with mishmash furniture. There was a brick wall on one end and floor to ceiling mirror on the other. Just beside our table was the dessert selection. I hardly notice it because it was inconspicuously displayed at the far end, you can walk pass it when going to the toilet. Spinach Quesadillas is a must-order in Mateo's, even my daughter who is a picky-eater liked the "bread". Each slice is filled with tasty spinach which you can dip in ranch dressing and salsa. The downside, there are only 4 slices in one order... bitin! 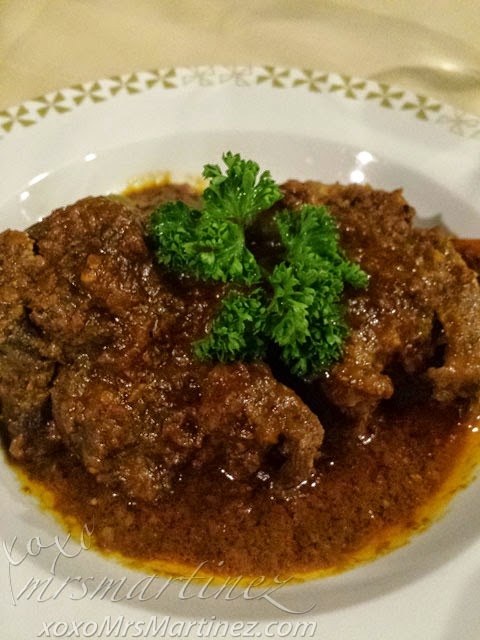 Morcon is a classic Filipino dish served during the holiday. I remember my maternal grandmother serving this dish every year during fiesta ng Quiapo when she was still alive. I seldom see this nowadays on the menu so when I saw it, my eyes lit up and ordered it right away. It was not as good as my grandma's Morcon but better than the ones I have tasted in other Filipino restaurants. Not even sure how it should taste like, DH liked it at first bite. The meat was tender, the sauce was rich, and the filling was aplenty. 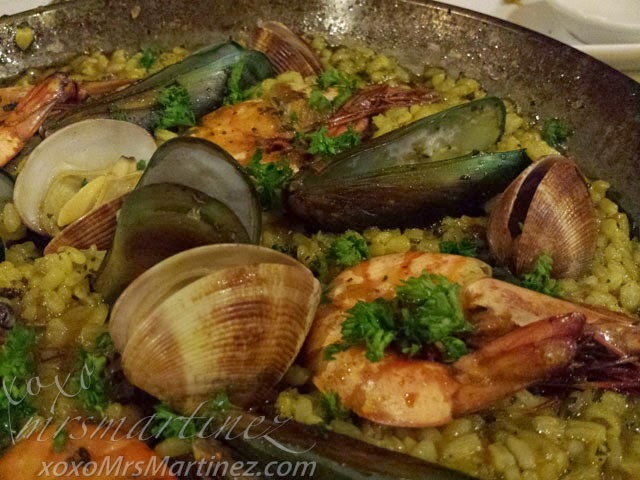 An order of Seafood Paella can serve up to 4 people. We were 3 adults (including our nanny) and 1 child, there was a portion left for one more adult that we were able to take home. It was filled with 5 sugpo, 6 tahong and 5 clams. Hidden inside the paella were several slices of chicken and sausages. If this paella was made with a tomato based sauce instead of pesto, it would have been perfect. 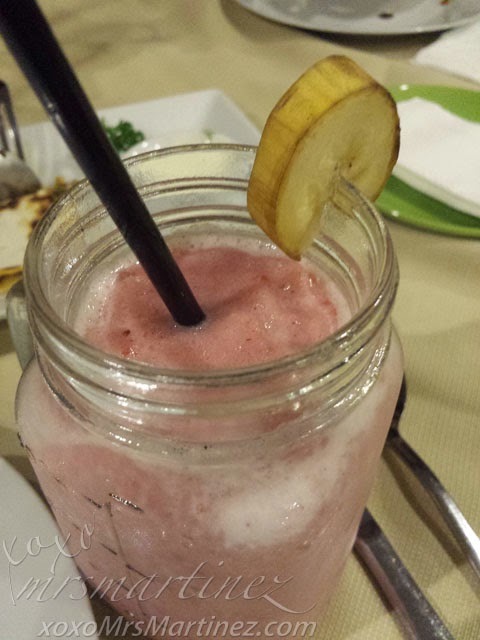 The Strawberry Banana Milk Shake was bland, I can do better. You might want to skip ordering this and try the Strawberry Colada Smoothie instead. I know I would definitely try it on my next visit. Yes, I will definitely be back together with my fambam. 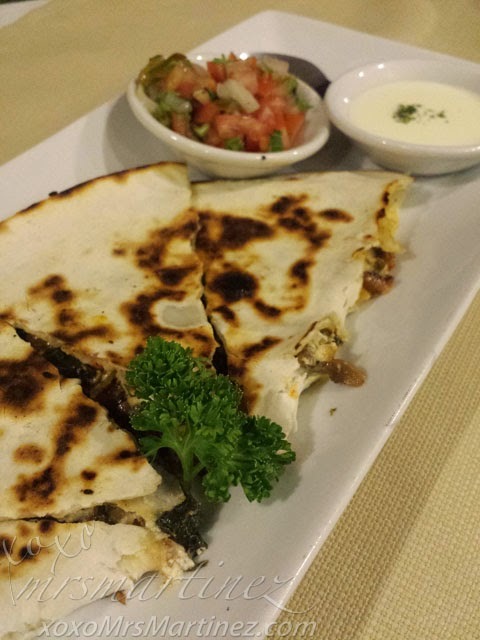 Mateo's Restaurant Cafe is located at #54 N. Domingo Ave., Brgy. Horseshoe, Quezon City 0917 8150716 8600420.